I am a T cell immunologist and Postdoctoral Research Fellow and Teaching Associate in the Department of Immunology and Pathology at the Central Clinical School in Monash University. Prior to joining Monash University in mid-2017 I had spent 10 years overseas initially completing a prestigious Medical Research Council PhD scholarship at the National Institute of Medical Research (now the Crick Institute) awarded through University College London. During my PhD and continuing into my MRC Postdoctoral Fellowship at the University of Edinburgh, Scotland my interests were founded in T cell signaling and addressing the early T cell receptor signaling pathways that direct T cell development, activation and function. Since returning to Australia my research focus has developed in two streams: to design superior CAR-T therapy using intracellular checkpoints and interrogate the biological mechanisms underlying unconventional T cell development, activation and function as potential targets of therapeutic intervention of chronic lung disorders. I am Associate Editor Web Promotions for Immunology & Cell Biology and Topic Editor and Guest Associate Editor at Frontiers of Immunology. I support open and transparent peer review processes by working as an Associate Faculty Member for F1000Prime, providing recommendations on peer-reviewed articles and reviewing original research for Frontiers of Immunology and Immunology & Cell Biology. 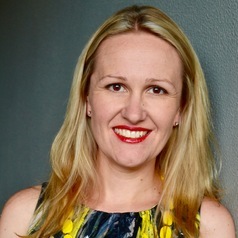 I currently serve as a committee member and secretary on the Australian Society of Immunology Advanced Immunology School organising committee, Central Clinical School Gender Equity Diversity and Inclusion Committee at Monash University and the AMREP Early to Mid Career Researchers committee at Alfred Health. As part of my continuing advocacy for the support of women in STEM, I am a current recipient of the 2018 Veski Inspiring women STEM sidebyside scholarship - Leading the Way: Mid-career emerging leaders.